The latest: Tax clarity for software sold as a service (SaaS) is coming to Indiana, with Governor Holcomb set to sign the legislation (Senate Bill 257) very soon. Why it matters: This policy is important not just for tech companies, but for those who do business with them. There is too much inconsistency and ambiguity relating to the exempt status of software services. 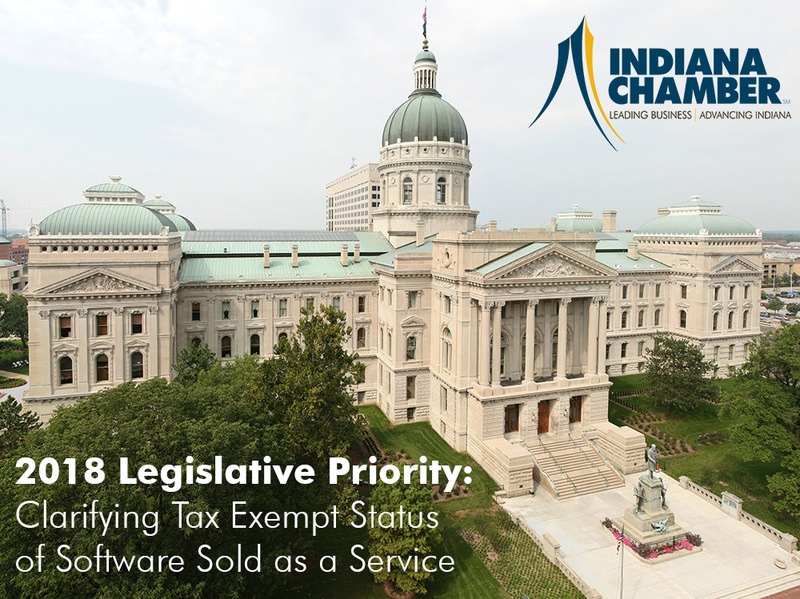 Having clarity around that would help to grow Indiana’s software development economy, as well as prevent onerous taxation of other necessary business expenses throughout the business community. The stakes are high – our state’s significant momentum as an attractive place for innovative and entrepreneurial companies could be in jeopardy without a sensible solution. And the growing number of companies that rely on SaaS technology to operate their business will feel the impacts. What we’re doing: The Indiana Chamber has been the driving force to make this legislation happen, with the language originating in one of our policy committees and meeting with all the interested parties to build momentum and consensus. In this article, our Bill Waltz explains the particulars of these competing bills and says both offer much needed improvement. An update: Amended SaaS bill made even better! As new developments arise, we will be sure to keep you informed. You are also welcome to contact our lead lobbyists for SaaS: Bill Waltz at (317) 264-6887 and Mark Lawrance at (317) 264-7547. In the meantime, check out our Policy Center to learn more about other bills impacting your company and what the Indiana Chamber is doing on your behalf.